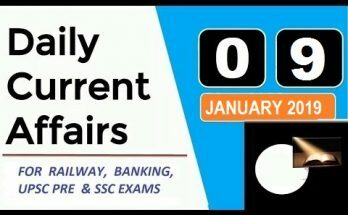 Welcome to the www.teachallrounder.com online Current Affairs section. 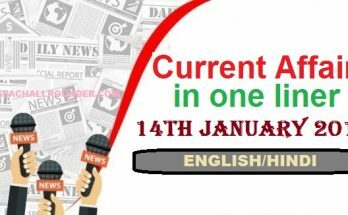 If you are preparing for competitive exams, you will come across a section on the One liner Current Affairs. Agra city is hosting the International conference on bears? 2. Train 18 is the first made-in-India engine less train. 3. India country will conduct the theater level maritime war exercise TROPEX. 4. 4 December the Indian Navy Day is celebrated every year. 5. 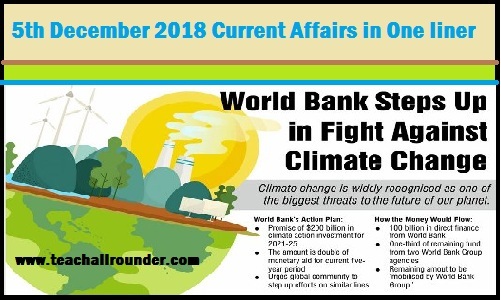 World Bank announced USD 200 billion Climate Action Investment for 2021-25. 6. India’s economy grew 7.1 percent in the 2nd quarter of 2018-19. 7. India has signed an agreement on currency swap with UAE nation. 8. The United States has given Russia nation 60 days to comply with 1987 Intermediate-Range Nuclear Forces (INF) treaty. 9. 5th December was World Soil Day observed. 10. Footballer Luka Modric, Croatia bagged the 2018 Ballon d’Or, plays for which country’s national football team. 11. The United States has re-established its permanent diplomatic mission in this Somalia nation for the first time in 27 years. 12. Agra city is hosting the International conference on bears?